Proof that I still sometimes read and write about books! By now apologies about sporadic postings here seem to be rule rather than the exception, which I truly am sorry about. It was really exciting to hear from so many of you regarding my last post where I outlined our plans for our RTW trip (and I promise I will respond to all of your comments and will certainly be emailing some of you too! ), so even though reading has been somewhat sketchy around these parts of late, I am definitely hoping to cobble together some more pre-trip posts where I go into more detail about the various countries we plan hope to visit, as well as keep you all abreast of the less theoretical/research-based elements of trip planning as well. But of course, I know all of your are book-lovers at heart, so when I do have bookish content to post, I certainly will do that too! Now, is one such instance, because even though I have hardly read anything in the past three months, my gig reviewing things over at BookPage has made it so that I still read at least one book a month. In the case of March's issue, two books were simply irresistible to me, so I pulled double duty and covered something for both the fiction and the non-fiction section (a first for me!). Look! A book! And I read it! 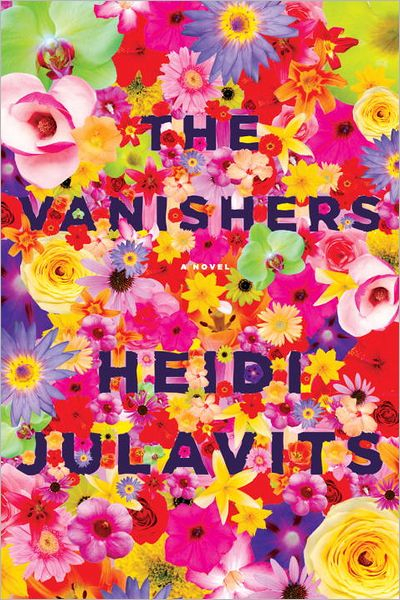 On the fiction front, I read and wrote about Heidi Julavits' trippy new novel called The Vanishers, which you can read here. This was my first Julavits novel, and boy was it weird! Given that I knew it revolved around psychics and astral adventures, I don't know why I ever would have thought otherwise, but this book really did surprise me at every turn. I think I really hit the proverbial nail on its head when I compared this book to the films of David Lynch, so if unusual, mindbending stories that question the limits of reality are your thing, this is the book for you. The Vanishers was a very good book, but my other read, I absolutely loved. 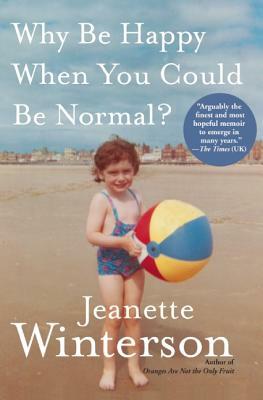 I absolutely use nepotism to my advantage and put in a personal plea to the non-fiction editor to let me cover Jeanette Winterson's memoir, Why Be Happy When You Could Be Normal? and I have absolutely no regrets on that front. At a time where reading has often felt like a chore, this is a book I could not stop reading. Even though I was reading a completely unfancy galley copy of this book, I would cradle it like it was the most precious thing whenever I picked it up because there were times when I felt like I was staring into the very contents of someone's soul (perhaps my own?) as I read it. I seriously cannot say enough positive things about this book (if I could have its babies, I would! ), but if you want to read some of my adulatory thoughts on it, you can check those out here. Ultimately, I may not read very many books this year, but I kind of think 2012 will be known as the year I read this book no matter how many other books I wind up finishing, so there is that. Hurrah for books! I'm desperately trying out many different books on a daily basis hoping to find one that sticks, so fingers crossed that one of these days you see me posting about something that I read for personal, not professional, reasons!